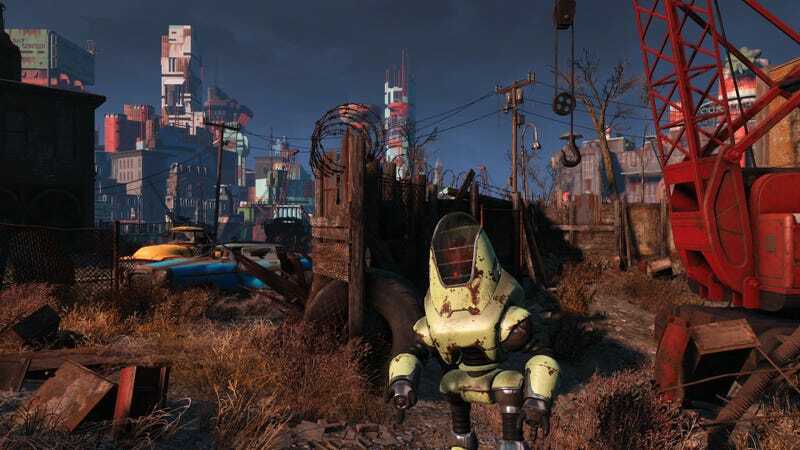 The promised free Fallout 4 high-resolution texture pack released on PC yesterday, making the game look a bit better when you get close to things in exchange for a large chunk of hard drive space. Between the quality of the original release and the mods players have created since, Fallout 4 already looks pretty spiffy, so there’s not much for a large batch of uncompressed textures to do. Redditor BrettonTT posted a gallery of comparison shots, and while there are noticeable differences when zoomed in close, it doesn’t seem like the kind of bump you’d need to scramble to clear hard drive space for. My favorite shot from the gallery. Here the edges of the rust are blurry and undefined. And her they are sharp enough to make your fingertips ache at the thought of touching it. Hit up BrettonTT’s imgur gallery for more shots, or hit up Steam to get that 55 GB download started.